What a whirlwind it has been! The past couple of months have been full of baseball, soccer, end of school activities, family events and more. With us always on the go, we sometimes have to wait to eat dinner until after a given event. So, this means that we need to give the kids (and us!) a snack before we head out the door. Something that will provide them with energy and hold them over until dinner is ready. Those snacks can vary and in part depend on whether they are eating them on the run or if they can sit down at the table. Usually the snack is a yogurt, a piece of fruit, or a granola/cereal type bar. Recently, we had the chance to try new Fiber One Chewy bars in two fun flavors - Chocolate (always a favorite of mine) and Strawberry PB&J. They seemed to be a hit with everyone. I particularly enjoyed the fact that Chocolate ones only had 100 calories per bar. Since I am trying to manage my calorie intake, this satisfying snack fits easily in my day. "Looking for a snack that combines the taste kids’ love with the nutrients they need? 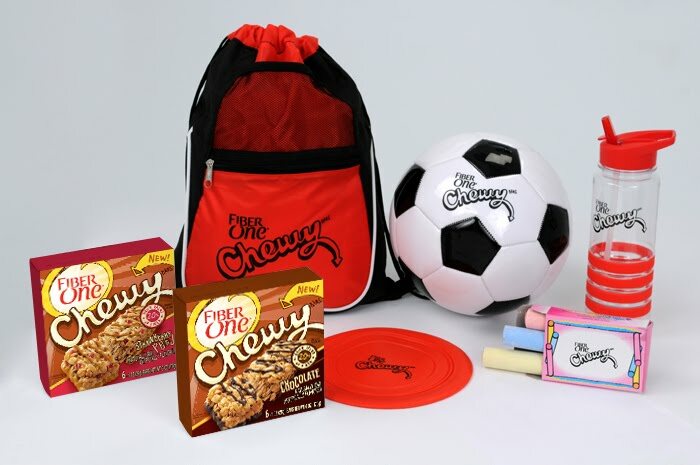 Be one of the first to try new Fiber One® Chewy bars, the perfect wholesome snack that the whole family will enjoy! Available in Chocolate and Strawberry PB&J varieties, these chewy bars are perfect for in-the-house, on-the-go, and everywhere in between. Complete with a peanut butter or chocolate bottom and yummy drizzle in every bite, kids won’t be able to resist the taste and parents won’t be able to resist the nutrition of this enjoyable snack. - These 100 or 110 calorie bars contain no high fructose corn syrup, and only 7 or 8 grams of sugar"
Giveaway will remain open through July 2nd. Giveaway is open to residents of the US only. One winner will be selected through Rafflecopter. The winner will have 48 hours to respond or a new winner will be selected. No compensation was received for this post. 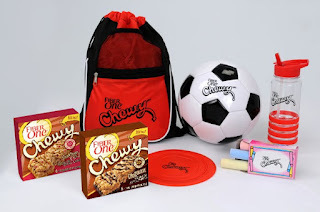 Prize pack, information, and giveaway have been provided by General Mills through MyBlogSpark. All opinions expressed are entirely my own or that of my family. I love granola bars or fiber one bars. My go-to snack is a nice red apple! Granola bars are my go to snack! !